I woke up in the middle of the night drenched in sweat, in excruciating pain. The pain was located over the centre of my chest and I knew this was definitely a bad sign. The night was about to get long. Really long. Having experienced this several times before, I braced myself for the worst. I said a prayer to the Lord for healing and begun a process that is now second nature, managing pain at home. The principle is simple. Always start with simple analgesics and work your way up. I immediately took two tablets of paracetamol and just as l had finished those, the pain escalated. Abdomen, legs, arms. It was spreading. It was everywhere. It is simply unbearable. I tossed and turned in my bed, no position would bring any relief. This had to be the worst pain I had experienced in my life. They always are, far more painful than having my tooth extracted. On a scale of one to ten, the pain of a tooth extraction would be four whilst this, a bone crises a nine. Two more tablets. Something stronger, an NSAID, Diclofenac then after about 30 minutes of excruciating pain with absolutely no relief, I gave up on managing the pain on my own. I required further care, staying home would just worsen the pain. I woke my roommate up, he in turn woke other colleagues of mine up. It was time for another trip to the Emergency Room. I did not want my parents informed about this admission because they would be worried and leave whatever they were doing to come and attend to me. My mom, a nurse in Tamale would take the next bus to Accra and be at my bedside before I woke up from my medication induced sleep. However, I had to make the call, they had to be informed. At the hospital, after my history and examinations were done by the doctor, it was confirmed: another vaso-occlusive crisis. A cannula was inserted, the pain of which I did not even feel because of the excruciating pain I was still experiencing and the intravenous fluids started. More pain killers, this time (intramuscular) pethidine. A little relief, some sleep, finally. After fives days the pain was gone, I was in good health and discharged from the hospital. We all have challenges in life, and may each have a story to tell, however this is just one part of the story of a person living with sickle cell disease, the pain. Each person has a different experience of sickle cell pain (crisis). 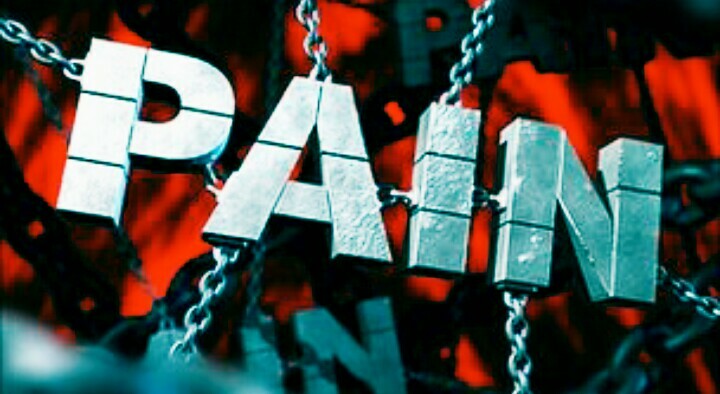 For some the pain may be monthly and for others yearly. For some there are complications, for others there are none. No parent would like to see their children in agonizing pain whether monthly or annually and be unable to do anything about it. The eradication of sickle cell disease from Ghana and West Africa as a whole is possible. It begins with a simple step, knowing your sickle cell status, specifically your genotype. This could be useful when it comes to selection of marriage partners so that an individual who has sickle cell disease (SS,SC…) would only go in for someone who does not (AA). By utilizing this we could come to a future where the total proportions of individuals living with sickle cell disease is very low. The same principle is being applied to HIV/AIDS. Before selection of one’s partner we usually consider if the person has AIDS or not. The same consideration should be applied for the Sickle Cell status. Self-preservation or in this case, protecting your future children. I really do not want to believe any parent would like to see his/her children in constant agony. Finally, to those who are already married and have children with the disease, it is possible for such children to live long healthy lives and achieve any dreams they want to pursue. These children should be kept warm at all times and always hydrated and strenuous exercises avoided. Parents of these children should also periodically take them to the hospitals for reviews and ensure good nutrition always. He was the overall best student in Surgery for the University of Ghana School of Medicine and Dentistry, Class of 2015. “The pain”, his second submission to My Sickle Life throws more light on the challenges of living with sickle cell disease. Read his inspirational story here: My Sickle Life: The Story of My Life. This entry was posted in Blog and tagged #mysicklelife, Ghana, pain, sickle cell awareness, sickle cell disease. Bookmark the permalink. I know the expirence too well. Its like he’s telling my story.